Based in Overton, Hampshire we are a small, but competitive running club. With thriving ladies’, men’s and juniors’ teams, we welcome runners of all abilities. From novice to experienced everyone is welcome, and of all ages – our members range from under 8s to over 80s! We hold regular training sessions for seniors and juniors every week and details can be found on our Club Calendar and Juniors pages. 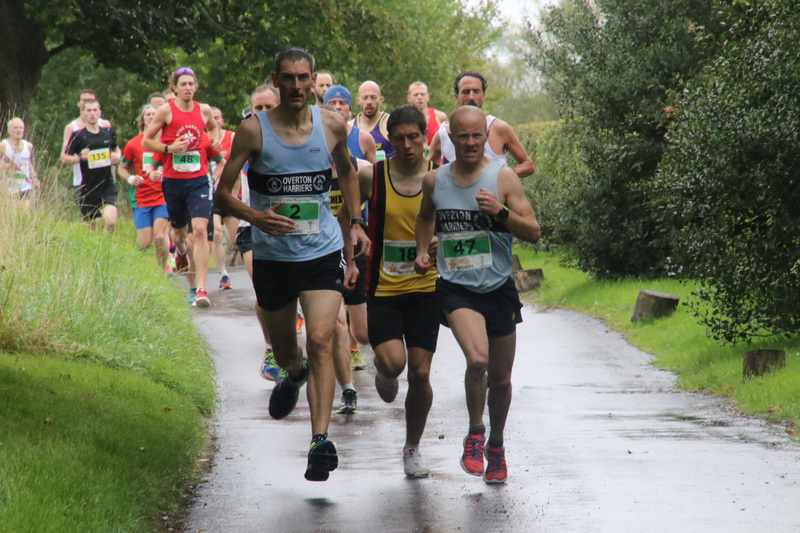 For those who like to compete, many members take part throughout the year in the Hampshire road race, cross-country and track & field leagues. Also parkruns, ultras, triathlon/Ironman events and much more across the region and beyond, including the annual Overton Wheelbarrow Race! The Club also organises an annual 5 mile road race and 16 mile multi-terrain race. For the 2017-2018 season, we are very proud to announce that our men’s A team won the Hampshire Road Race League, beating Lordshill, Winchester, Hedge End and Southampton in the process, with the Men’s B team also winning their division. For details of senior races and leagues see our Leagues pages and for junior races and leagues see our Juniors page. The Club also has a strong social side, including an annual training weekend-away, BBQs, Christmas party and annual awards dinner, as well as regular curry nights and other social events.